Survive by staying in the light. Escape by travelling between worlds. Find out what happened to Dormont. Decide what happens to you. Speaking of Ace Combat 7, for those who bought the game, can anyone please let me know something? I pre-ordered the Deluxe Edition (from Voidu). This is the pre-order bonus (well, actually it's a launch edition bonus, and the launch edition is supposed to be available until March). Is anyone else missing this DLC? I need to buy a HOTAS for games like Ace Combat and Elite Dangerous. I'm still waiting for the game to download fully. half-way there! But I don't have any DLC at all in my tab. I pre-ordered the deluxe edition directly from Steam. I am hoping that once it's done downloading I can restart steam and that will force it to update the DLC tab... Hopefully? Yeah, it should do the trick. When the game launched, there were no DLCs on my DLC tab (despite the store showing I owned the Season Pass). I re-started Steam, and the other 3 DLCs finally appeared. Since then, no matter how many re-starts, the missing DLC wasn't added. If you could please let me know when you re-start if that DLC shows up, I would be grateful. I'm off to bed, and hopefully tomorrow it will be fixed. did they say whats in the AC7 Season pass? 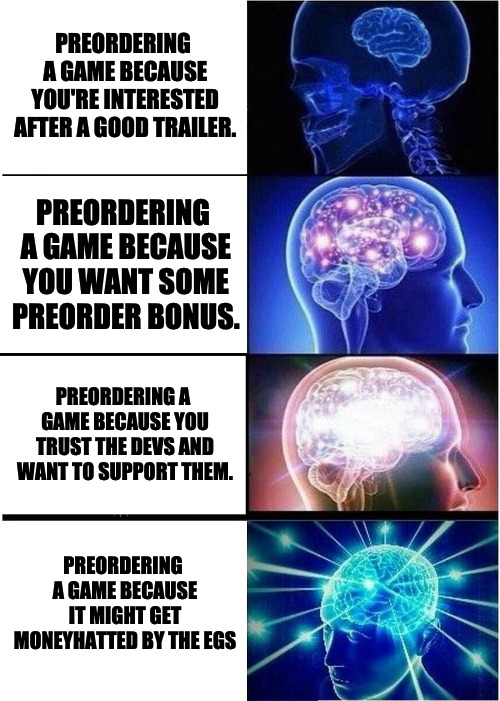 Hmmm, do I just pre order Plague Tale Innocence now? Anyone buying this? would love to hear opinions. Was left disappointed when I finally read the title correctly and realized this isn't a followup to Stories Untold. AC7 is here! Hoping it downloads fast enough so I can sneak in one mission or sortie before bed. Plsssss. It's really good. You're going to be up all night playing it. After their awful experience with PC I thought they were done and gone pure mobile again. AC7 impressions, please. This game looks intriguing, I was on the fence with 6 but this seems to be the best in a long time. Don't even need new drivers. I'm still on 417.22 from Nvidia. Watching Afterburner my frametimes were a long flat line at 16.7ms. Which is ideal for 60FPS, no? They support Windowed, Fullscreen and Borderless. Resolution scaling. All kinds of options to play with. I think my only disappointment was that the only AA options are FXAA... but at the same time when you're in Aircraft moving super duper fast things tend to be a blur anyway! Gah, I can't wait to play more tomorrow! FunktionJCB In the end, I didn't even have to restart Steam. As soon as it was done downloading, my DLC tab showed up with all 4 already downloaded. I restarted Steam anyway just to be safe, and then the achievements popped up. As for your problem, uh, I hope you don't end up having to redownload it. Really solid map variety, places never feel stale. Gorgeously rendered planes as usual with some nice fan-favorites. The usual set-piece battles are in place, and feel great. The usual "rookie-to-ace" storyline is subverted a bit (which you'll know from the trailers if you watched them) , in a way I really enjoyed. There are some great callbacks to previous games' stories and characters. The story theme is a little on the nose at times, but overall it's quite enjoyable, even if it is a little bit of "Macross but with just plain, regular planes." Great OST as expected from AC. 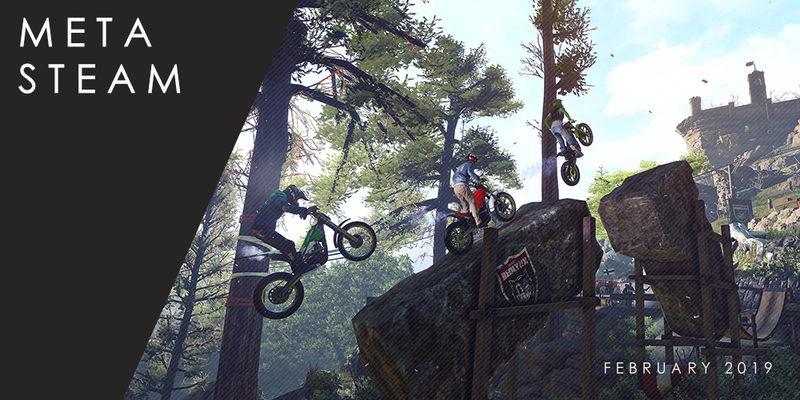 Multiplayer is actually surprisingly fun. Difficulty spikes in the campaign can be easily mitigated by grinding out some quick cash in said multiplayer. If you're not familiar with Strangereal, some of the deeper story callbacks might go over your head. There are some insanely annoying difficulty spikes. As I mentioned above, the game's one saving grace in this regard is the money you can earn from multiplayer, which can easily let you grind what you need in a few matches if you get stuck. I think I was getting around 70,000 for a loss and 100,000 for a win (low-end planes cost around 100-200k, mid-tier cost around 300-600k, and upper-end planes cost 900ish). I enjoyed the multiplayer so much that the money I made from those matches made it so I didn't actually hit a difficulty spike until around halfway through the campaign, but some people hit one way earlier (I think I saw Mission 6 as a frequent complaint). Similarly, the checkpoints are pretty horrible, and there were a few times I saw 10-15 minutes of progressed trashed because I died. While the plane variety is mostly great, some people felt like the game could have used a few "weirder" plane variants. Didn't bother me, but just something I've heard people say. ALSO TO ANYONE PLAYING THE GAME TONIGHT: DO NOT PLAY WITH THE DEFAULT/NOVICE CONTROLS. THE GAME IS MISLEADING (WHICH SEEMS TO HAVE LED TO SOME REVIEWS DINGING THE CONTROLS) BY SUGGESTING THAT OPTION, WHEN IT'S PRETTY TERRIBLE. JUST CHOOSE THE EXPERT CONTROLS, IT'S WHAT THE GAME IS MEANT TO BE PLAYED WITH. They're not that hard to get used to if you're a newcomer, and it's worth learning over suffering the novice controls. AC7 port seems fine, on the first mission at least I get ~120 fps on a GTX1080 paired with an old i7 3770K maxed at 1440p. Not too many graphics options but a few like disabling the reflections should give performance boosts if needed. I didn't try my joystick yet. played with a gamepad, but the configuration screen was a bit worrying as it seemed to show the officially supported on consoles hotas specifically with what each input does. hopefully you can custom bind anything regardless of your device or combinations of devices you want to use. True Love Waits - Begin the story as the first generation protagonist Rain, where players will have the chance to choose from various bachelorettes. The story's path will change depending on the girl you choose! The story extends through two generations with each new protagonist inheriting stats and abilities from their parents. One nice thing about the new Agarest launch is that if you own the previous Agarest games you can buy from the bundle pack and it will apply a discount for every Agarest you already own. This allowed me to pick up the new one for just $10. I own every Metal Slug and didn't get a coupon. SNK, why do you hate me? I would happily take it if you have no intention of using it. EDIT: Oh... I just got it... weird. Is that any good? It looks like a board game a la Talisman (which is also a Games Workshop License). I am a big Talisman fan. jshackles updated Enhanced Steam to 10.0 for the very last time. However, as promised, Isthereanydeal created a fork which can be downloaded here. Firefox extension is up while the Chrome version is still pending. 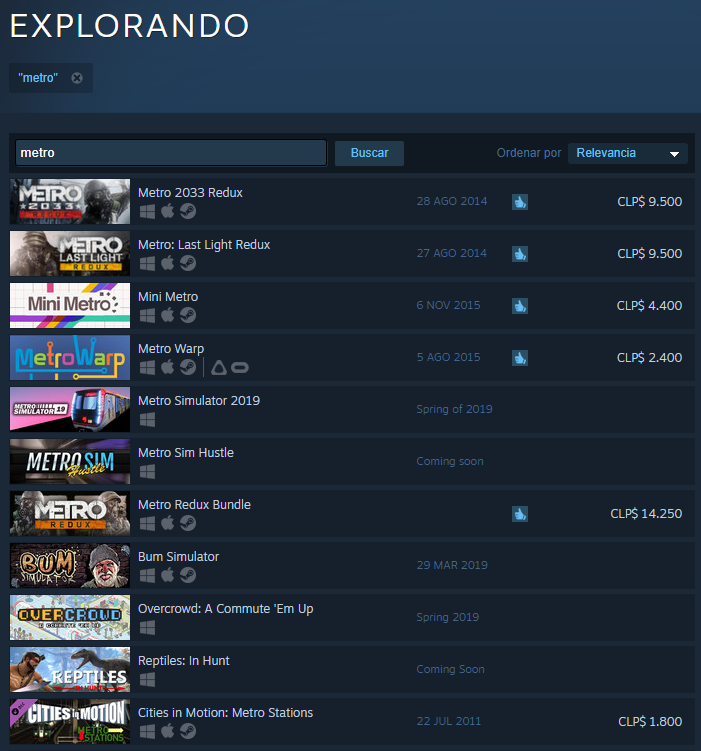 Metro Exodus doesn't appear in the search list anymore. The store page is still up. I've not booted the game up yet but can check later tonight? Why isnt the february thread made yet? Or at least change the thread title to February? Not sure why we need to wait for mrorange to put hia up first. well we at least need a few recommendations ... anyone wants to write something? so ... do i just use store page blurbs then? instead of recommendations written by people? As much as I detest the whole 'nobody reads the first post' thing, these threads have become for us a place to gather and discuss stuff. We learn of various games released over time by posts in this thread and furthermore, we get various impressions from users on games over time as well. And also, there is no need to have a monthly MetaSteam thread. We aren't like the old GAF at all, nor aren't we like ERA. We are METAs! got any ideas for a title? Tizoc? Deques? Wok? I am not good at puns or anything like that, but how about "Steam was robbed"? i like that ... can i use that one? also - got ideas for monthly retro and challenge? so - got ideas for retro and challenge? Yeah, monthly is good for me. Megathreads have their place but you can't beat that monthly new-thread smell. It's classy like putting on a fresh pair of pants every week.